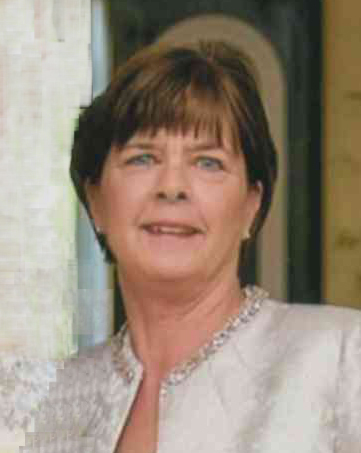 Esther Mary Coddington Bowling, 69, passed away Wednesday, November 7, 2018. She was born August 30, 1949 in Albany, NY to the late Clifford David Coddington and Esther Mary Kennedy Coddington. A funeral mass will be held 10:00 am, Saturday, November 10, 2018 at St. Eugene’s Catholic Church, 608 Lions Club Road, Wendell, 27591. Graveside service 3:00 pm, Saturday, November 10, 2018 at Elmwood Cemetery, 530 Hillsborough Street, Oxford, NC. The family will receive relatives and friends from 6:00 to 8:00 pm, Friday, November 9, 2018 at L. Harold Poole Funeral Service & Crematory, 944 Old Knight Rd., Knightdale, 27545. Surviving: son, Christopher Clifford Little (Claire) of Cary; daughters: Sarah Anne Little-Brown (Dwight) of Raleigh, Christy Bowling Johnson (Chris) of Apex, Katherine Bowling Wood (Robert) of Clayton; grandchildren: Bella Johnson, Quinn Brown, Michael Little, Emily Little, Addison Wood, Quin Johnson, Cooper Johnson and Robbie Wood; sisters: Marguerite Spina of Massapequa, NY, Patricia Lucksinger of Castleton, NY, Sally Rapp of East Greenbush, NY; brother, Clifford Coddington of Connecticut. In addition to her parents, Esther was preceded in death by her husband, William Harold Bowling, Jr.. In lieu of flowers, memorial contributions may be made to St. Eugene’s Catholic Church.